There are so many cases when there is power shortage. Today smartphones offer numerous features that we did not had in past. We enjoy new features but also suffer from low battery issues. Most of the cell phones just stay active one day and if you don’t have charger then they will shut down. In case of emergency these smartphones can create serious issue for you. 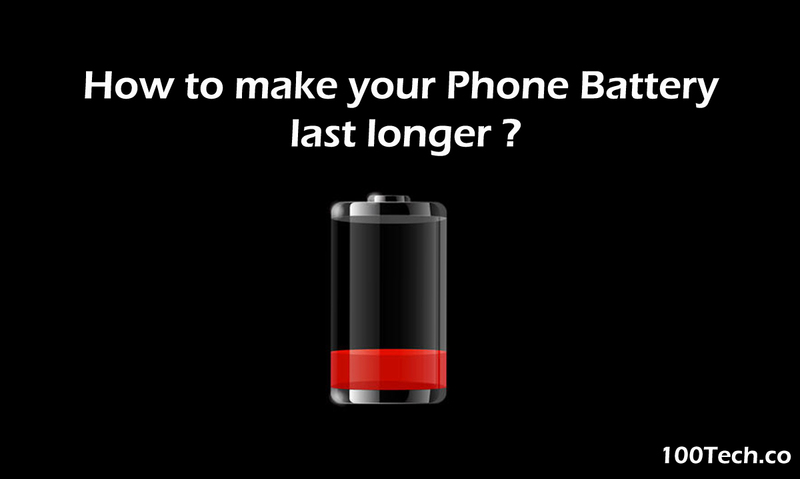 Therefore, today I am going to share tips with you that will help you to keep your battery last longer. Today smartphone screens have become large and that is why the smartphone screen/display takes more battery power. Keeping the brightness on its highest scale can drain your phone battery early. Always try to dim your display whenever you want to save battery. You may have noticed that keeping your wifi or any other internet service drains your phone battery too early. Therefore protect your battery from dying early by turning off internet connection on your device. We all get the resist to check our smartphones every minute that cause the phone battery to die early. Turning on your phone after every second can lower your battery early. These days many video games cannot played without t internet connection. Even playing games on your smartphone alone decreases your battery very soon and in case of online games it will vanish in no time. In order to save your phone battery then avoid playing games on your phone. If you have stuck in an emergency situation and looking for ways to make your battery last longer then the best option would be to use airplane mode. Airplane mode will protect your battery from getting down. Keeping an extra phone battery with you can also help you in mishaps. In case of low battery you can replace your old battery with the new one.